When automation is involved, this is critical that the tasks are executed exactly at the same time, or in a pre-defined sequence that is almost in real time. 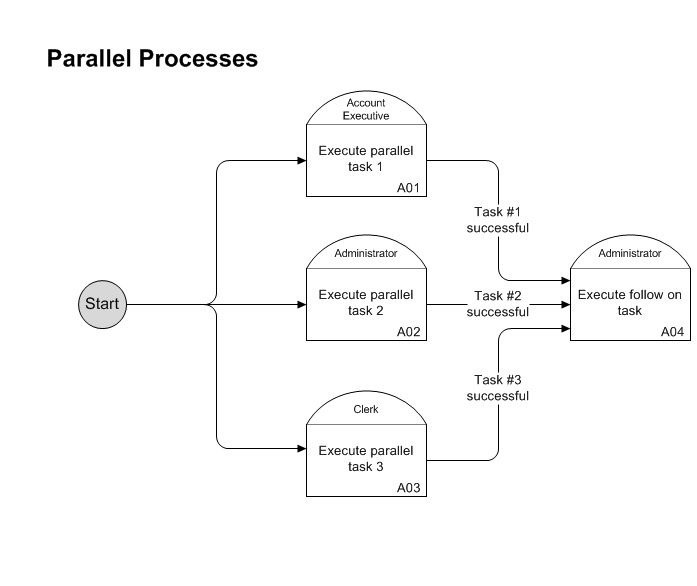 Destination tasks from the parallel process e.g. A04 in the diagram below. These often have to verify/ensure all the parallel tasks have been completed successfully. What to do if one parallel task fails, is incomplete or has an unacceptable outcome. Using the Task Link description it’s possible to be more precise in outcome requirements. 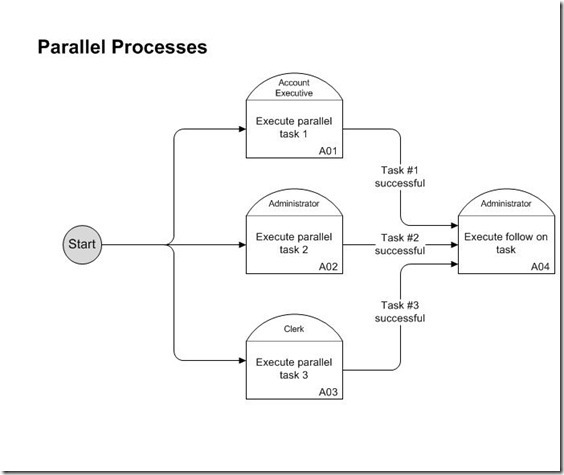 Note the successful outcome of each parallel task before going onto the next task A04.